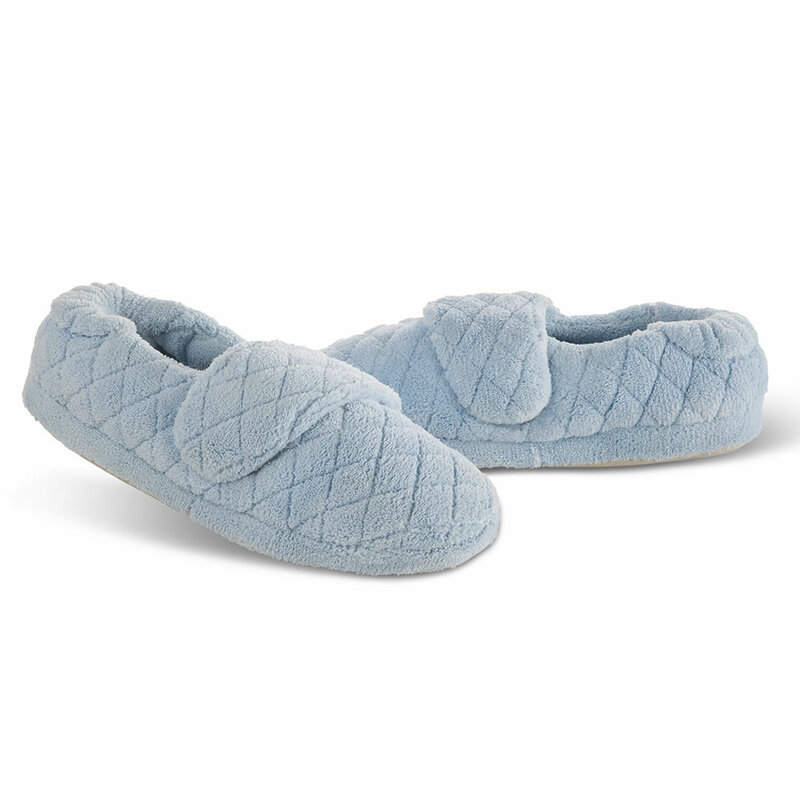 These slippers offer full arch support, topped with a velvety soft terry cloth upper that wraps around your foot for the perfect fit. 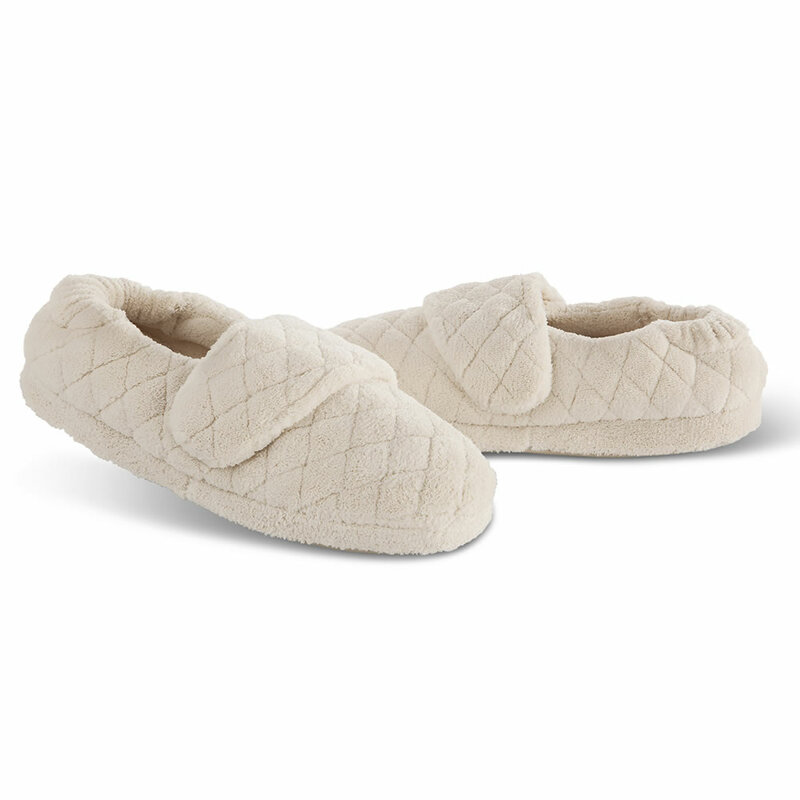 Unlike flimsy slippers that flatten with wear, these supportive slippers have a contoured four-layer footbed that lifts the arch and cups the heel to pamper painful, swollen, or simply tired feet. 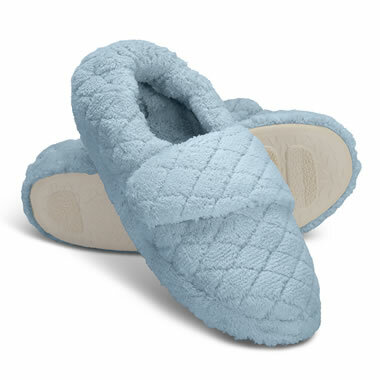 The cozy terry cloth cover has a hook-and-loop strap that lets you loosen or tighten them to your personal preference. 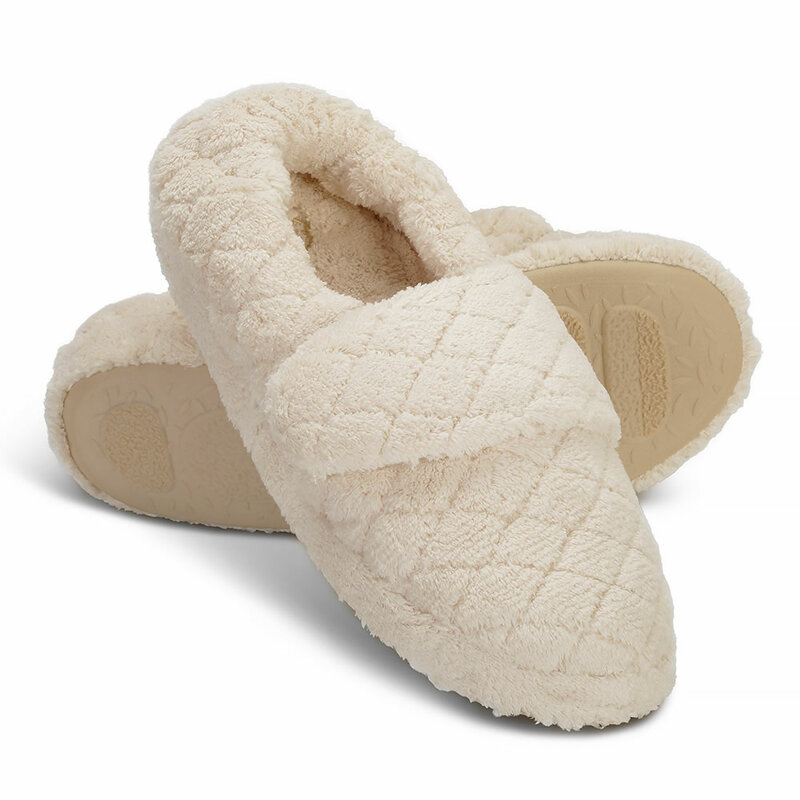 The warm terry lining wicks away moisture and an elastic heel prevents them from slipping off. 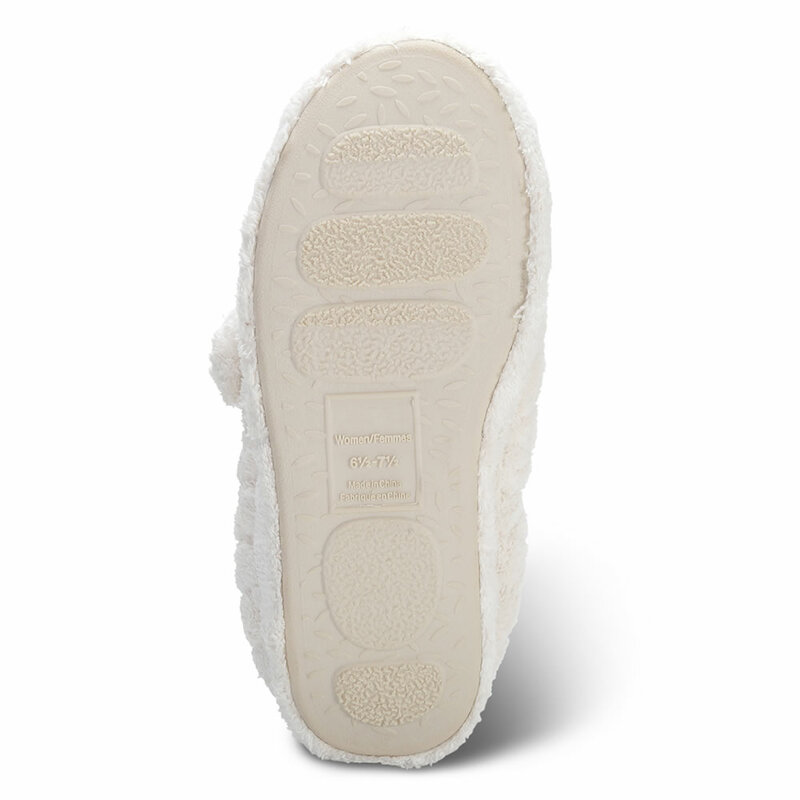 TPR rubber sole for surefooted traction. Machine wash. Natural or Powder Blue. Sizes S (5-6), Medium (6 1/2-7 1/2), Large (8-9), XL (9 1/2-10 1/2). The Arch Supporting Wrap Slippers come with The Hammacher Schlemmer Lifetime Guarantee. Items that we sell are guaranteed for their normal life under standard non-commercial use.